I garden a lot and think a lot. This morning I weeded our strawberry patch. I neglected the bed last summer. I’m pretty sure I never once weeded it. My husband built a screened cover years ago to keep the birds and critters out. They were eating the berries he enjoys. I needed to climb into the raised bed to get at all of the weeds. Carefully I pulled weeds that had grown within the trails of strawberry plants. At times the weeds were intertwined with the trailing plant roots but it didn’t take long to get all of the weeds out. When I was done I realized many of the plants had been choked out by the overgrowth of weeds. The soil is also in need of nutrients. I am going to need to revisit the bed often throughout the summer to keep the regrowth of weeds in control so the plants can flourish once again. I mentioned in my last post that I am working a gig as a server in a historic, fine dining restaurant. It attracts clientele from all over the world. Not only have I found a job that enables me to serve and share my love for good food, I encounter folks from all walks of life. It is amazing what you can learn about people in brief conversations. It’s amazing to know what some people endure to make it day by day. It’s amazing to discover things about yourself when you step outside your comfort zone. Remember, I’m an introvert at heart. A concern I had when I began my new job was not just that my body would endure and my aging mind could multitask and remember all there is to know and recall— a deeper concern was that I could be in this world without the negative things changing who I long to be in the image of Christ. It’s not just enough to be a good person when you commit to being fully surrendered to God’s plan and purpose. It’s quite easy to be hypocritical of what a God follower is. That’s why we appear to be losing ‘popularity’. I’m learning that I cannot please everyone. I knew this to be true but there are some folks that are tricky to please despite your best intentions. Grace is not freely given on a regular basis by people you would think might be the most gracious. In that time of weeding and praying, my spirit was encouraged to keep on trying to reach people where they are. It takes time to gain the trust of people who have been hurt. I can’t expect to be effective without being patient. Patient while standing firm on the truths that are the foundation of the faith carrying me moment to moment. I had considered ripping out the strawberry bed and replanting it with something easier to maintain. I’m glad I chose to weed out the plants as I weeded out my thoughts. 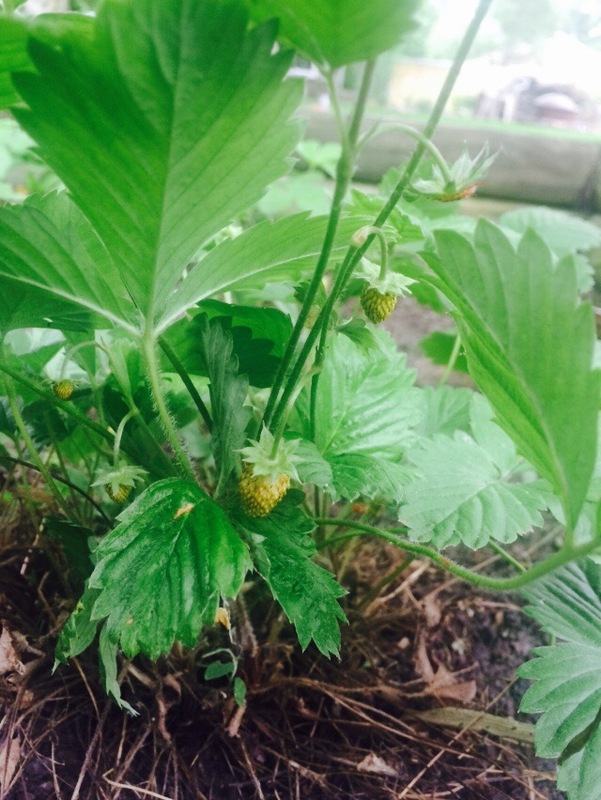 Soon we might see some fruit on the plants. Soon I might see some fruit on the people I’ve been tending to.